It is always best to use Home Saver product with other Home Saver products. This ensures proper fit and compatibility. This way you know that everything is functioning in a secure efficient manner. This connector and adapter is attached with a band that can be tightened and loosened with a screwdriver, eliminating the need for rivets and screws. 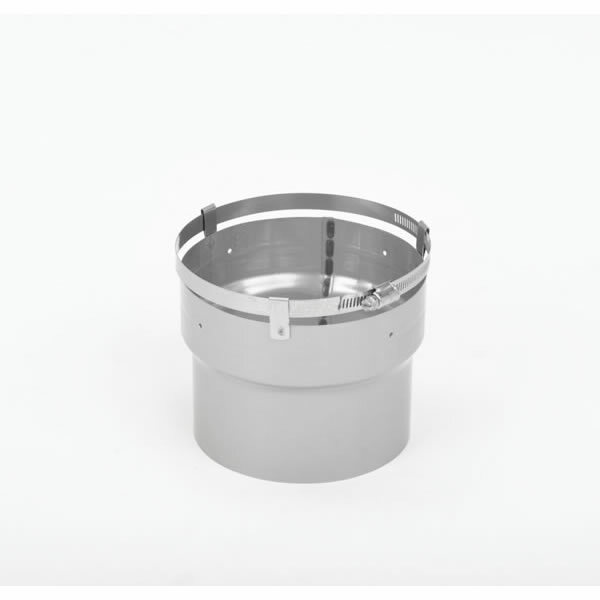 The connector adapter is made from 18 gauge 304 alloy and is made to fit the Home Saver eight inch chimney liner pipe.